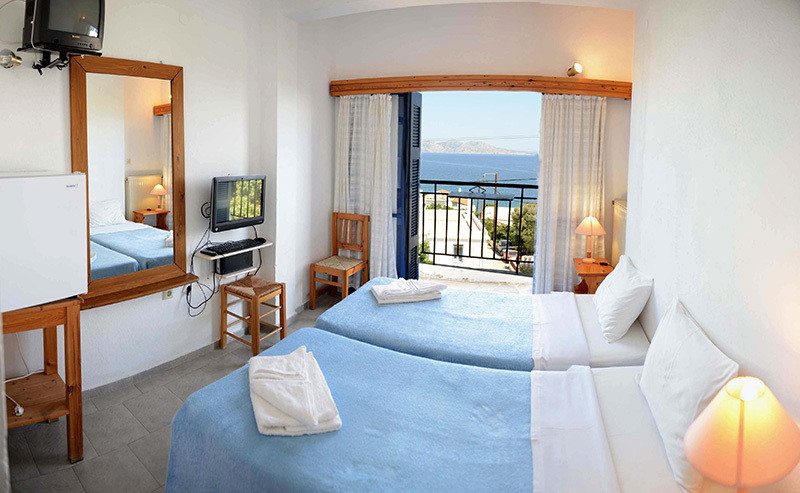 Rooms are equipped with air condition, mini refrigerator, hot water 24 hours, heating, television, hair drier and every day room service. 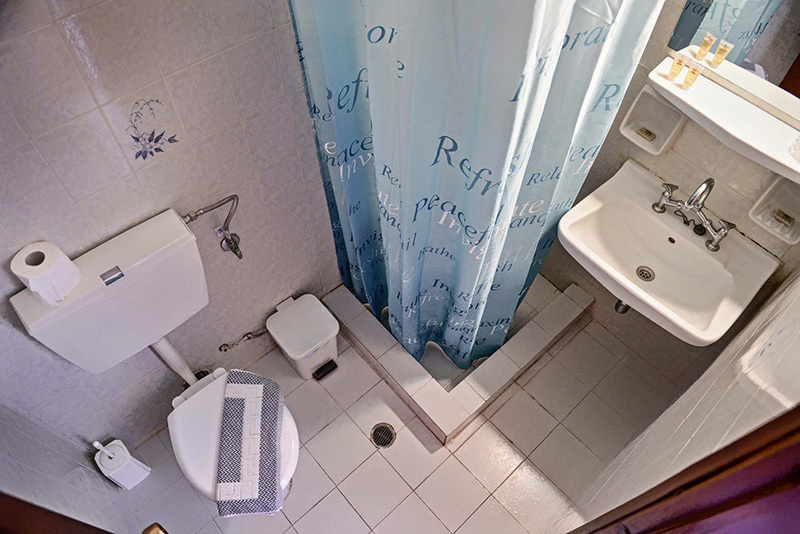 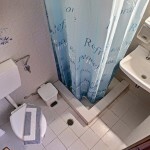 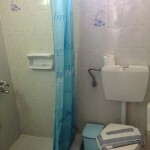 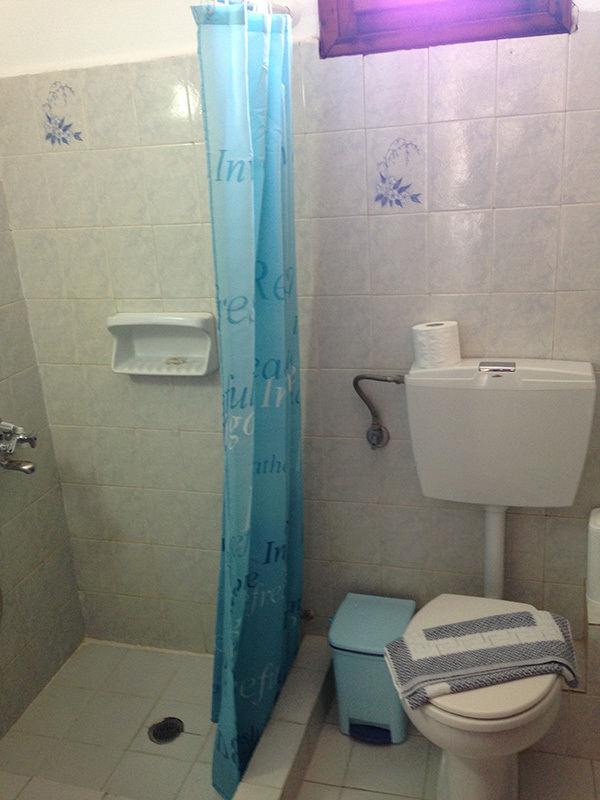 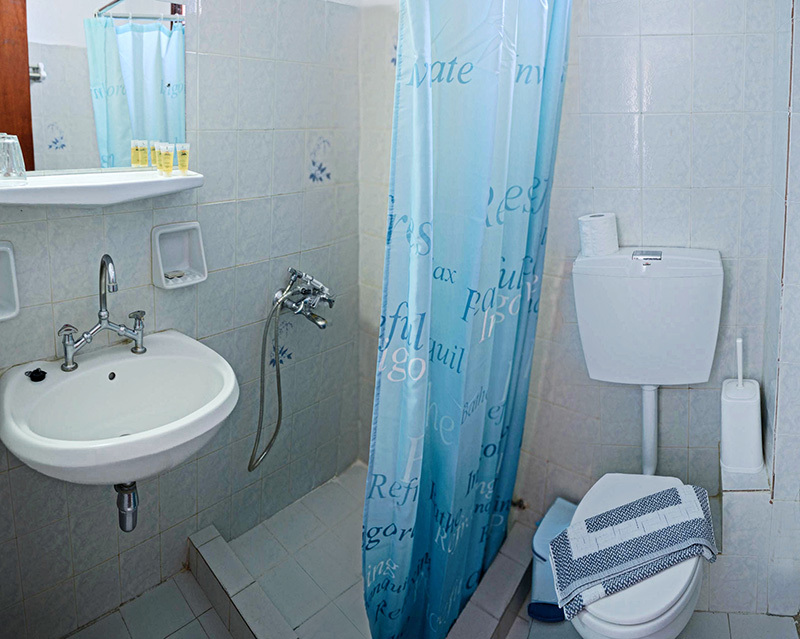 Featuring private bathrooms with shower, stocked with toiletries. 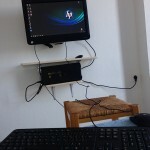 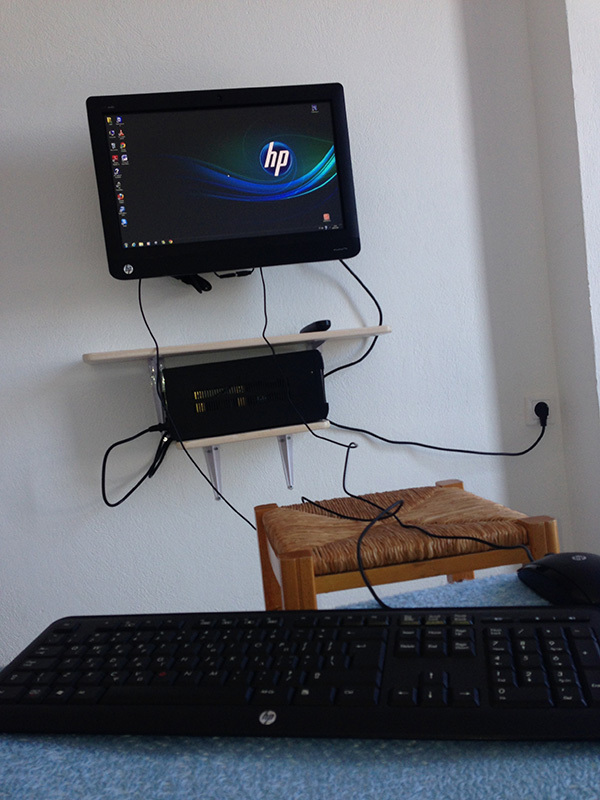 Free Wi-Fi is available in all areas plush an HP touch screen pc with 22 inch flat screen is offered in most of our rooms. 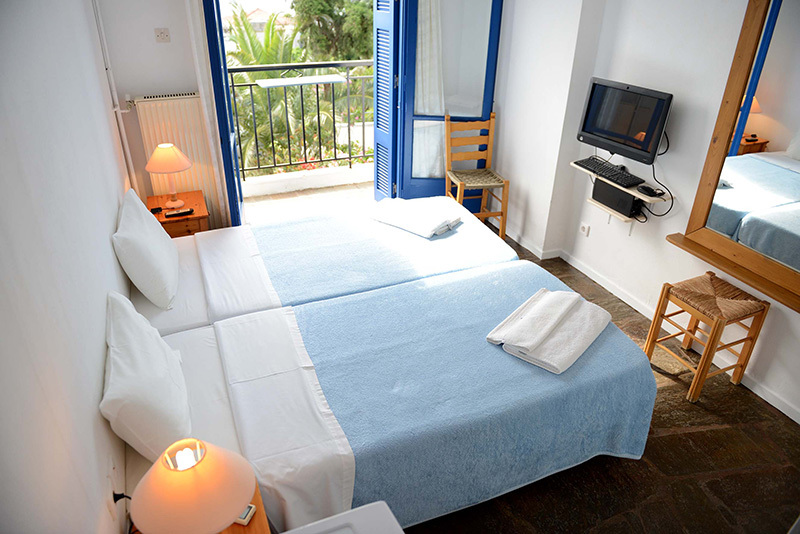 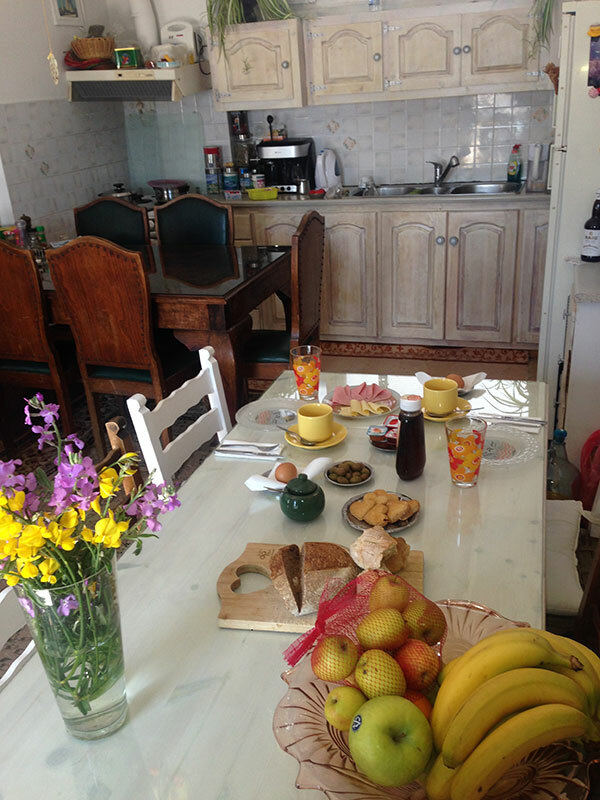 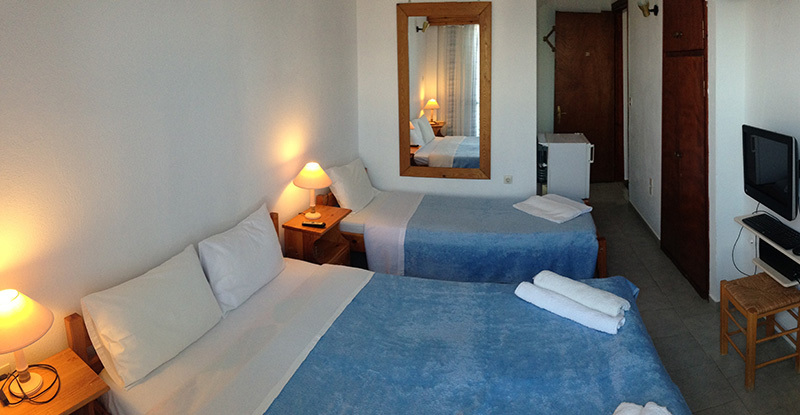 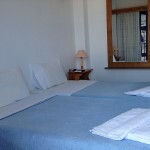 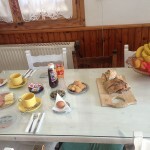 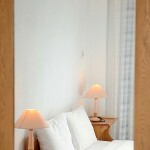 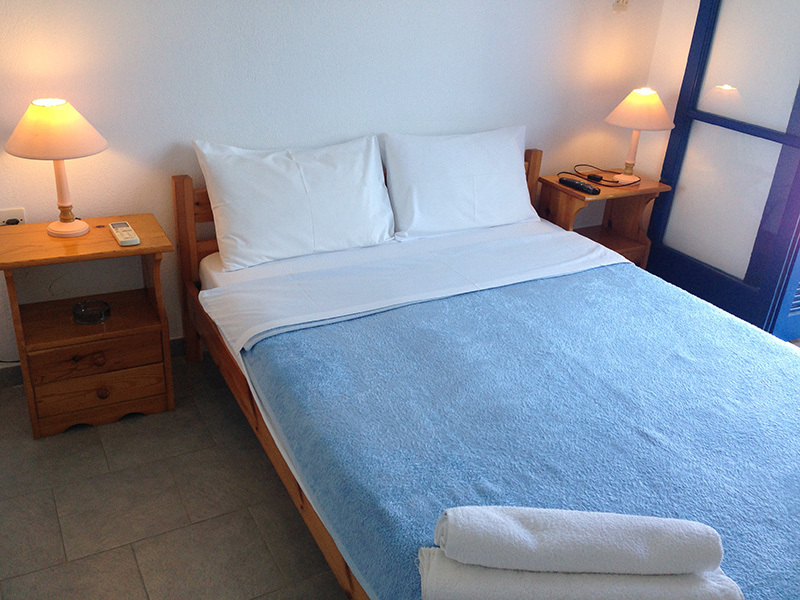 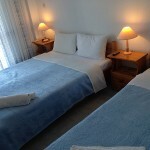 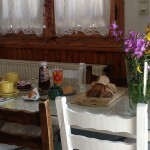 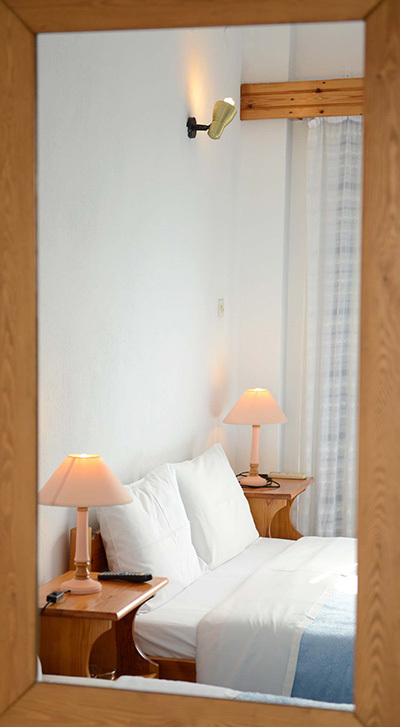 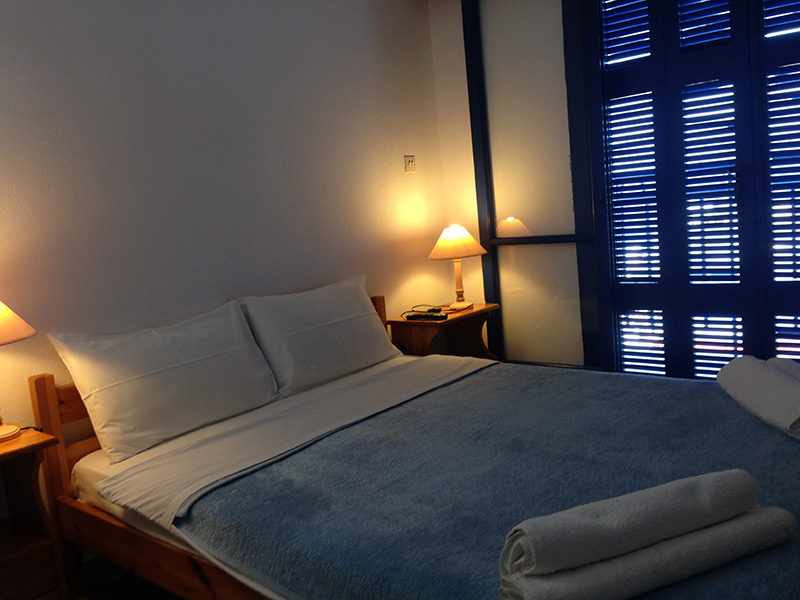 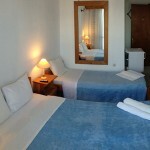 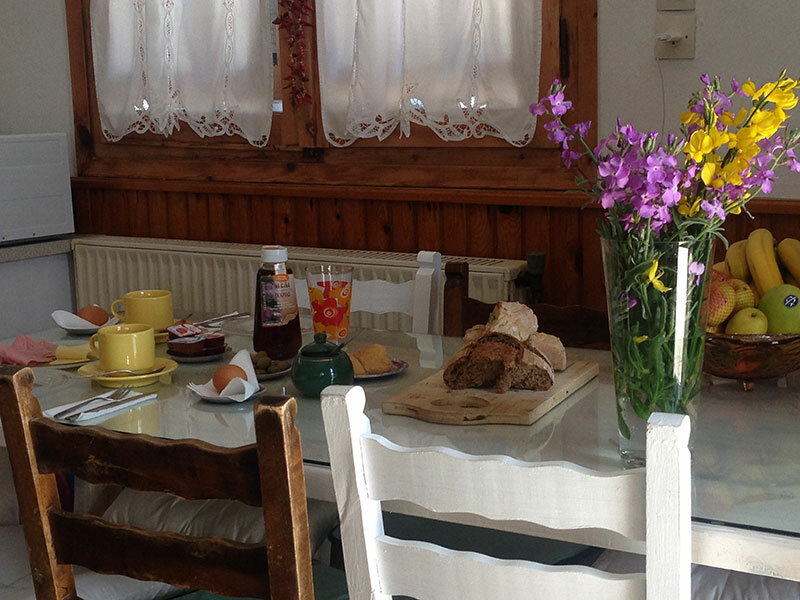 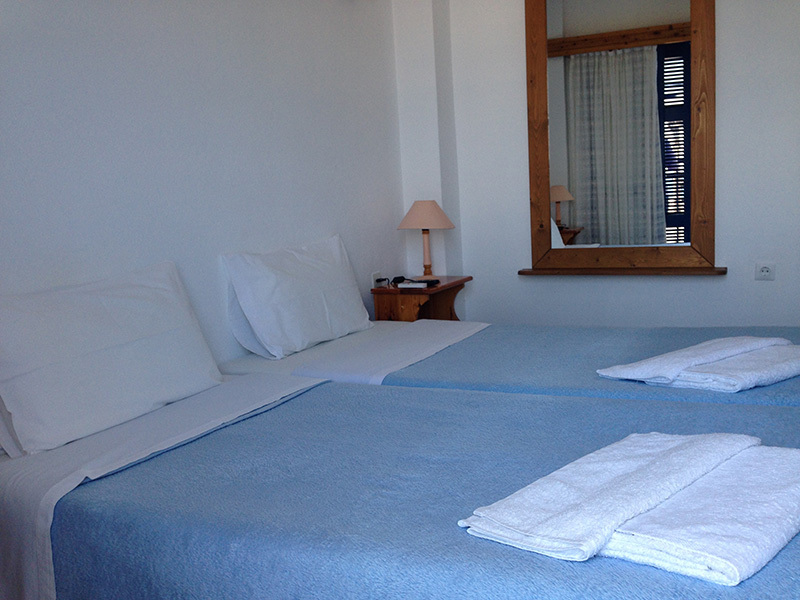 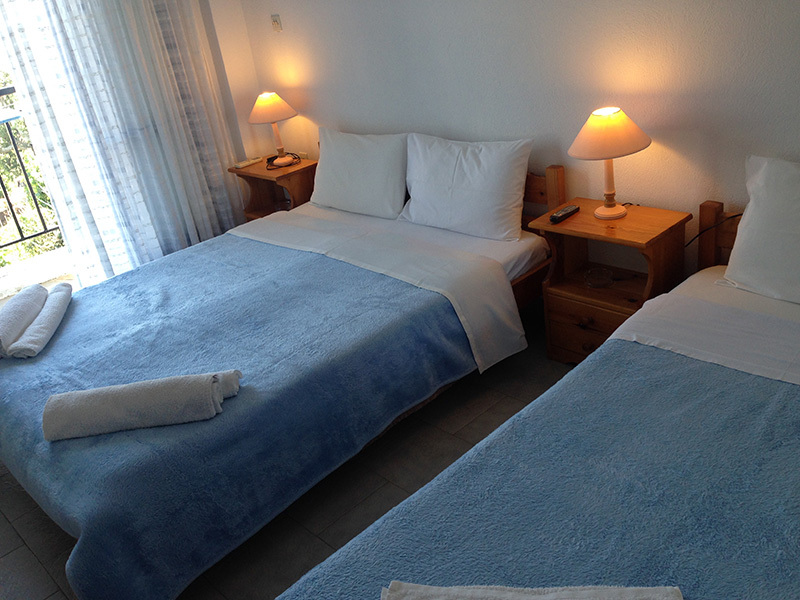 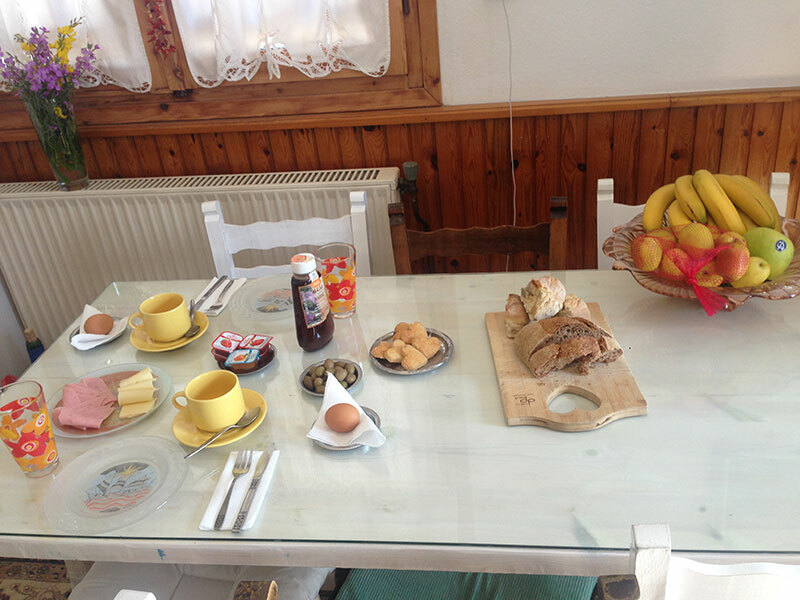 On the first & second floor: 15 double rooms and one triple room (with one double & one single bed). 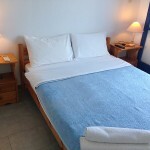 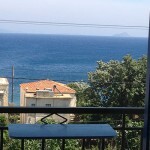 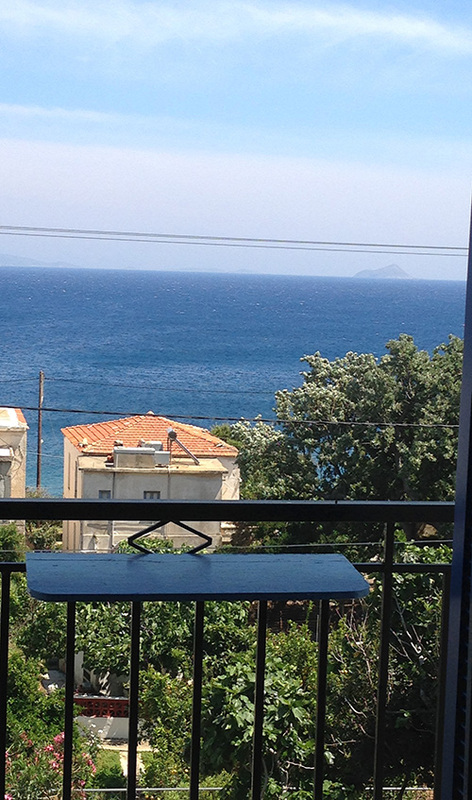 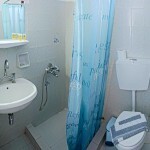 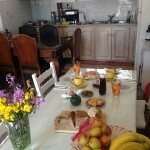 On the ground floor: 3 double studios, 1 triple studio (with one double & one single bed) & a family studio for 4 persons. 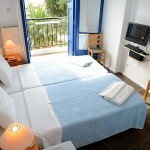 The size of the rooms is 15 m2 and the size of the studios 20 m2. 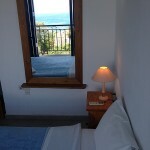 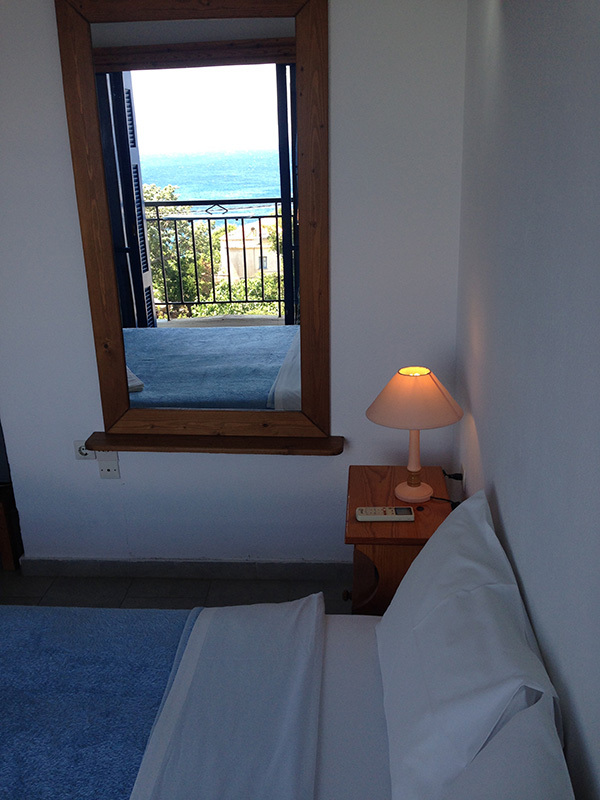 All the rooms have a balcony with sea view and the ground floor studios a sitting area by the yard.